Nintendo has revealed this month’s NES offerings for Switch Online. 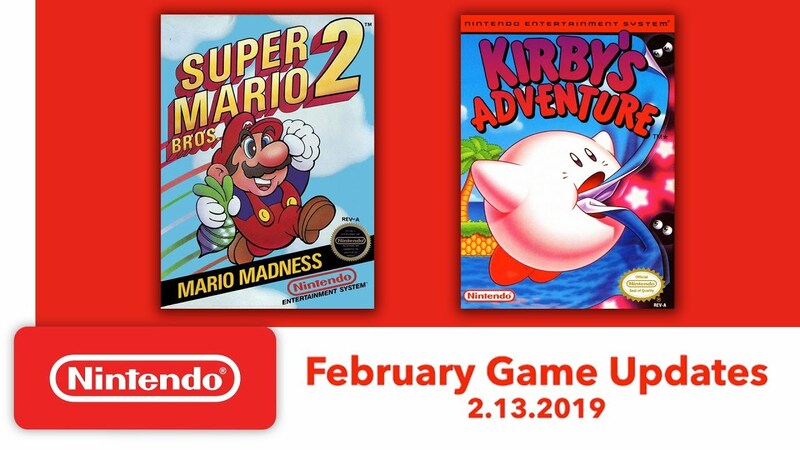 Two more games are joining the lineup in the west on February, including Super Mario Bros. 2 and Kirby’s Adventure. In Japan, Nintendo will be throwing another game in the mix: Tsuppari Oozumou. This is the second month in a row that Japan has had an extra game. However, anyone who creates a Japanese account on their Switch system regardless of their region can play Tsuppari Oozumou. The next additions to the Nintendo Entertainment System – Nintendo Switch Online game collection star some of Nintendo’s most beloved characters, including Mario, Luigi, Princess Peach, Toad and Kirby! On Feb. 13, the Kirby’s Adventure and Super Mario Bros. 2 games will be available to play anytime, anywhere as part of the Nintendo Switch Online service. These titles join the growing library of NES games with newly added online play on the Nintendo Switch system, which also includes more than 30 classics like Super Mario Bros. 3, Metroid and Zelda II: The Adventure of Link that are available exclusively to Nintendo Switch Online members.